1980s | When Grandpa Was A Boy, Were There Any Dinosaurs? 1989: Spare a thought for Berlin’s bunnies. For 28 years they flourished in the “death zone” on the East German side of the Berlin Wall. Hopping about, nibbling grass, relaxing in the sun. No speeding cars, no farmers with shotguns, no farmers’ dogs. Until November, when hordes of noisy humans came stomping through rabbit heaven. 1988: Albania holds the record for the most consecutive Olympic boycotts: four, between 1976 and 1988. 1987: Japan’s former agriculture minister Hata Tsutomu told a luncheon on Capitol Hill that the United States should not expect his country to suddenly step up imports of American beef. Hata cited as “fact” that Japanese people find it more difficult to digest beef as they have longer intestines than Americans. Centuries of eating a diet heavily reliant on grains had lengthened Japanese digestive tracts, Hata claimed; consequently any beef consumed would remain in the intestines longer and be more likely to spoil. 1986: The meltdown of a nuclear reactor at Chernobyl, in northern Ukraine, released a cloud of radioactivity that affected not only the nearby human population, but also, indirectly, the stork population. Storks hunted for beetles, grasshoppers, frogs and other small prey in cultivated fields and meadows. When the Soviet authorities ordered the evacuation of residents from a wide area around the power plant, the abandoned fields and meadows became overgrown with tall grass, bushes and saplings. These made it difficult for the storks to forage for food, which in turn led to a decline in their numbers. 1985: Photographs of the young Fidel Castro showed him, more often than not, with a haze of cigar smoke wafting round his head from the Cohíba between his fingers. The Cuban leader stopped smoking in 1985, 44 years after he started. 1982: Culinary debut of the year: ciabatta, invented by an Italian miller named Arnaldo Cavallari. 1980: Joanne “Jo” Rowling celebrated her 15th birthday on 31 July, which by coincidence was the day Harry Potter was born. 1989: Spooked by the downfall of the Berlin Wall, Soviet officials at the KGB office in Dresden desperately destroyed records of agents and operations. They burned so many files, recalled one member of staff, Vladimir Putin, that “the furnace burst”. 1988: The Stasi employed a work force of 102,000 to monitor a population of 17 million: one secret policeman for every 166 East Germans, compared with one Gestapo official for every 2000 citizens under the Third Reich and one KGB agent for every 5830 people in the Soviet Union. In addition, the Stasi had at least 174,000 regular informers among the population, 10,000 of whom were under the age of 18. There was one Stasi employee or regular informer for every 66 people; if part-time informers were included, the ratio of agents and informers to citizens may have been one to 6.5. 1987: The United Nations designated 11 July as the day on which the world’s population would exceed 5 billion. It was impossible, of course, to pinpoint the date – the Day of 5 Billion was largely symbolic. More credibly, though less precisely, population experts estimated that the number of human beings reached 2 billion sometime during 1927, 3 billion during 1960 and 4 billion in 1974. 1985: Petar Shapallo was a dentist from northern Albania who resembled the country’s Stalinist leader, Enver Hoxha. After the secret police forced him to undergo plastic surgery, the likeness was even closer. For years, Shapallo acted as the dictator’s double. 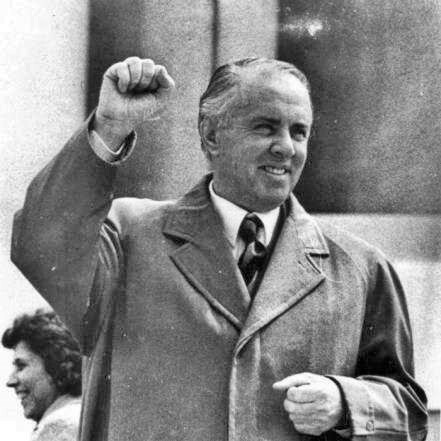 He talked the way Hoxha talked, smiled the same reassuring smile, lost weight when Hoxha dieted, limped when Hoxha sprained his ankle. When the Great Leader died, Shapallo lost his job. When communism collapsed, Shapallo was attacked by Albanians who feared he was the ghost of their despised leader. Shapallo loathed his appearance. When the torment became unbearable, he used a knife to gash and gouge his face. 1984: Between 1970 and 1984, police in 13 regions of mainland Tanzania recorded a total of 3,333 cases of witchcraft. This wasn’t harmless hocus-pocus: 1,407 men and 2,286 women suspected of being witches were murdered. 1982: On 4 February, David Grundman drove out of Phoenix into the Arizona desert with one of his buddies, lots of beer and a shotgun. After a few drinks, Grundman began taking pot shots at saguaro cactuses. The smaller ones toppled over, but a big old saguaro stubbornly refused to fall. Grundman poked it with a stick. That dislodged an arm and then the whole cactus – more than a tonne in weight – wobbled and crashed down. Unfortunately for Grundman, it fell directly on its tormentor. 1989: Whew! That was close! An asteroid measuring an estimated 300 metres across, travelling at 74,000 km/h, came within six hours of slamming into the Earth. The asteroid, named Asclepius, crossed Earth’s orbit and passed within 650,000 kilometres of the planet. A collision with an object of that size, moving at that speed, would have seriously rattled the crockery. 1988: Geruchsproben, or smell samples, provided the German Democratic Republic’s secret police with a highly personal way of keeping tabs on citizens. Based on a theory that everyone possessed a separate, identifiable odour and left traces of that odour on everything that he or she touched, the Stasi built up an extensive collection of smell samples. Surreptitiously collected garments or pieces of fabric bearing individual odours could then be matched, using trained sniffer dogs, against smells found (for example) at the scene of an illegal meeting. 1987: Britain abolished dog licences. 1986: On 14 April, hailstones the size of pumpkins killed 92 people in the Gopalganj district of Bangladesh. 1985: Ten years after the fall of Saigon, a poll in The New York Times revealed that only three out of five Americans could identify South Vietnam as America’s wartime ally. 1984: Liechtenstein became the last country in Europe to grant women the right to vote. 1983: The “Gimli glider” was the nickname given to an Air Canada Boeing 767 that made a forced landing at Gimli, in Manitoba, after running out of fuel in midair. On 23 July, halfway between Montreal and Edmonton, one of the engines of Flight 143 lost power, and shortly after, the other. 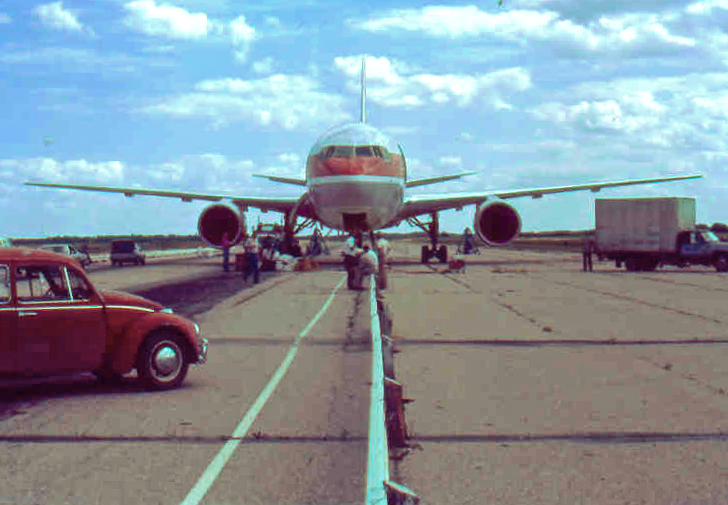 The pilot put the airliner into a glide and headed for the disused air force base at Gimli. 1982: At the Barbir hospital in western Beirut, medical staff treated casualties from the Israeli Army bombardment of Palestinian camps. Some had been hit by phosphorus shells, including 12 members from the same family. Next morning, when Dr. Shamaa took the corpses out of the mortuary for burial, they again burst into flames. 1981: A survey of the feeding habits of London foxes found potato peelings in the stomachs of 8.4 per cent of them, birdseed in the stomachs of 1.9 per cent, cooked peas in 1.1 per cent and Chinese takeaways in 0.2 per cent. Nonfood items included rubber bands in 1.6 per cent, cigarette ends in 0.4 per cent and lollipop sticks and shoelaces in 0.2 per cent.